If you are ready to sell your home, you may be anxious to see the word "SOLD" posted from the curb. However, there is a lot to consider along the way. One of your first and most important decisions is to select a real estate company and real estate agent who will join you in the process. Price your home strategically so you're competitive with the current market, price, and trends. 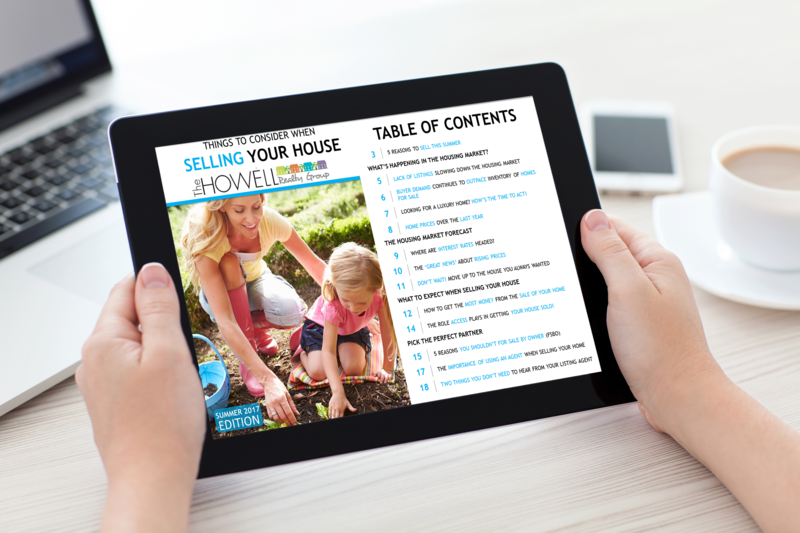 The local real estate market expertise of The Howell Realty Group team means we're able to interpret all data that dictates the optimum pricing strategy, so your property will be priced to sell. We understand that every market is unique, that is why our marketing plans and staging strategies are tailored to effectively target and attract potential buyers for your property. We research the local real estate market extensively to provide you with the most up-to-date statistics on South Florida market trends and property prices. We also take the time to learn and professionally photograph the unique selling points of your property and neighborhood to maximize online interest. And, of course, we'll always take the time to listen, understand your challenges and goals, and answer any questions you may have along the way. All in all, it's a formula for success. We understand how important it is to be "in the know" when you're selling your property. That is why we provide each of our clients with daily updates on our marketing efforts, showings and market feedback. Sometimes our clients enjoy taking things into their own hands. That's why we're happy to provide you with the latest market tools to stay updated and make sure you sell your home fast at the right price. Here are most of the homes the Howell Realty Group has sold in the West Palm Beach, Broward county and the surrounding areas. Let your home be next!